The new Google Pixel 3 and 3 XL are the first Pixel phones to have wireless charging support with the Qi standard. But there’s more to the phone’s wireless charging capabilities than simply juicing up the battery. That’s because the Pixel 3 phones support Pixel Stand, Google’s all-new wireless charging dock/stand. The new Pixel Stand, as the name suggests, is a dock-style wireless fast charger for the new Pixel phones. As you can see, the stand has a circular puck-style base and an oval pad to rest the phone. 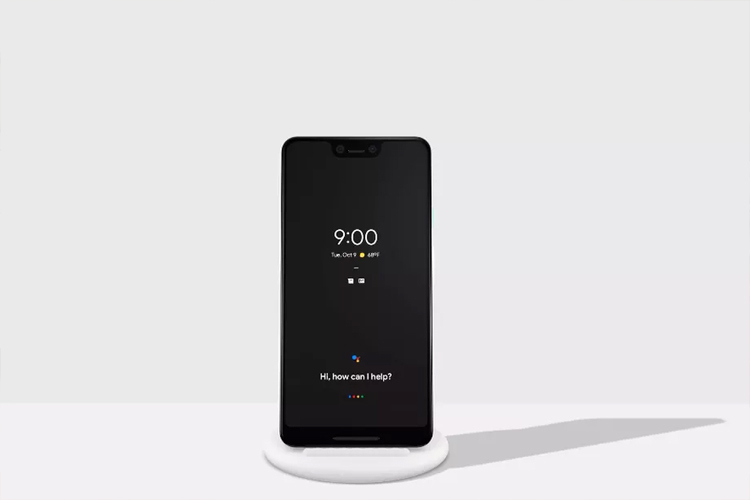 As soon as you dock your Pixel 3 on the stand, you’ll see an animation to indicate the charging status, alongside other info like the battery percentage, and how long it will take to get to full charge. You can even dock your phone in landscape mode to use it as a stand while consuming media. Although the Pixel Stand is essentially a wireless charger, it also has some additional Assistant-functionality. Google is touting these features as “do more while charging” features. You can use your docked phone as a photo frame to display your favorite Google Photos photo album as a “screensaver,” or use it as a bedside clock that will slowly brighten your screen in warm sunrise colors before your morning alarm goes off. But my favorite feature has to be Google’s smart home integration with which your docked phone can pull up your video feed when someone rings your Nest Hello doorbell to see who’s at your front door. You can learn more about some other cool Assistant features here. 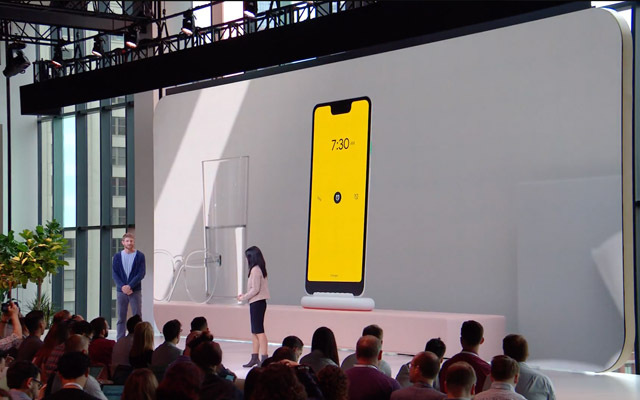 The Pixel Stand is priced at $79, and you can pre-order alongside the new Pixel 3 smartphone starting today.